The month of fasting officially commenced on Saturday 28th June 2014, and is the 9th month on the Islamic calendar. During this month, Muslims set out to achieve various tasks in honour of their faith including reading the entire Qu’ ran, attending special services or night prayers at the mosque or volunteering for particular causes. 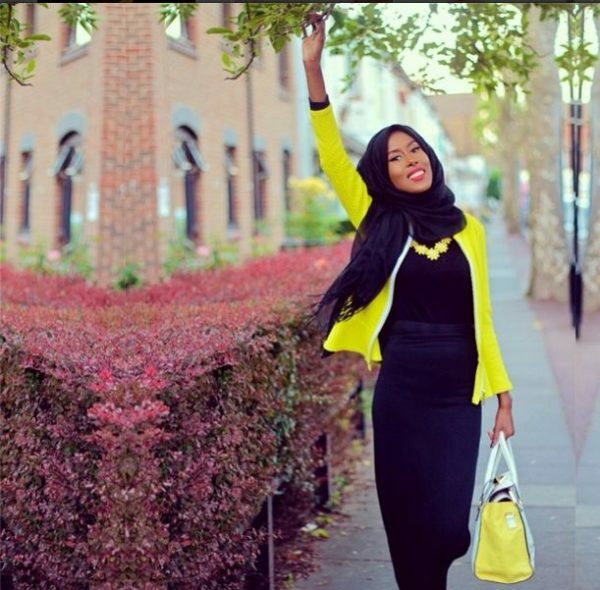 Muslimah blogger Fatimah Gimsay of CraftyGimsay, is letting you in on 6 of her favourite Muslim bloggers you need to check out. In her feature, she briefly describes them and tells us what she loves most about their styles of blogging. From fashionistas to multi-taskers, here they are. It is an awesome feeling to go through the YouTube pages and blogs by my fellow Muslim sisters. It is an opportunity to learn from them and explore their different styles of blogging. They share many inspiring aspects of being a Muslimah – like fashion tips, Hijab styles, makeup and many more and I am here to share them with you. Wearing the Hijab is part of my personal and everyday life, so finding ladies that inspire and connect with me is something very exciting. So I want to share my top 6 Muslimah bloggers with beautiful styles and blogs everyone can enjoy. 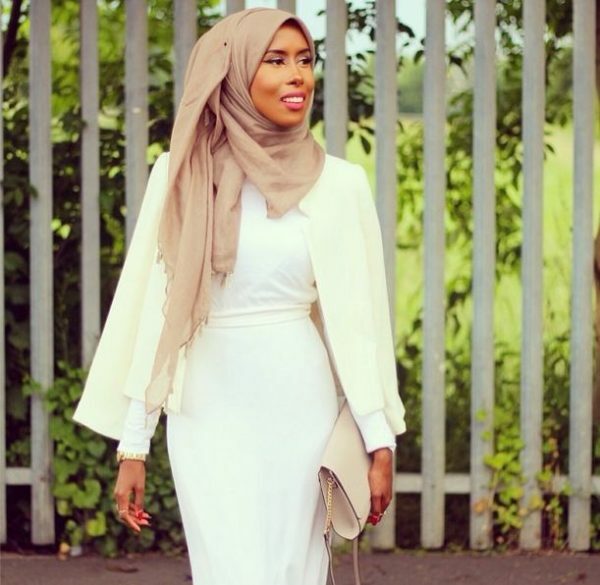 Somalian Basma Kahie is definitely among those who rule the Muslim blog-o-sphere with her doll like beauty and style. 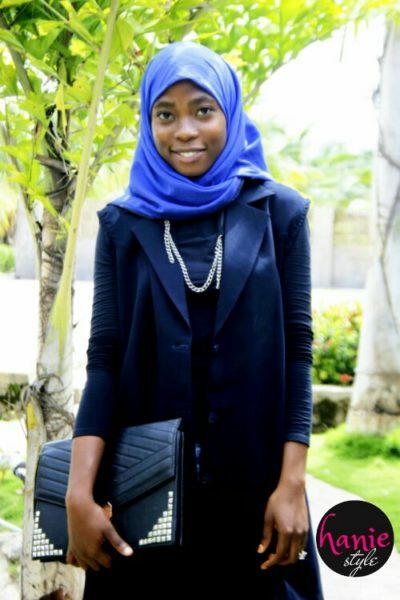 She is a Hijab stylist and makeup artist – a craft that has made her Hijab styles famous and widely sought after. She even recently launched her own line of scarves among other fashion pieces. 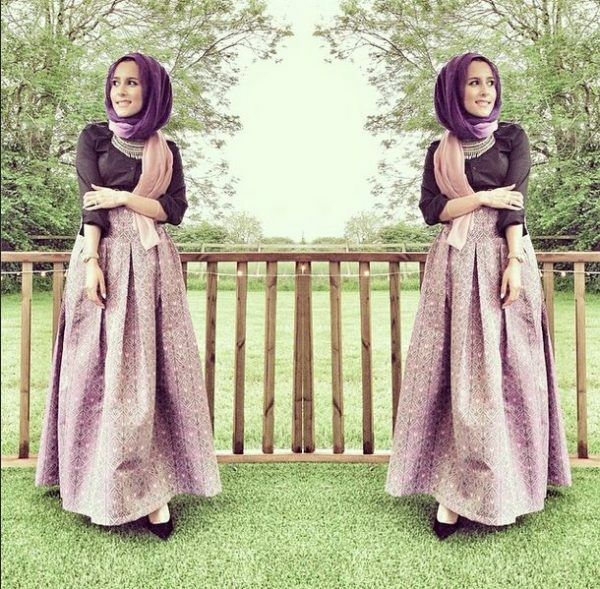 With over 84 thousand Followers on Instagram, her style is gorgeous yet modest. 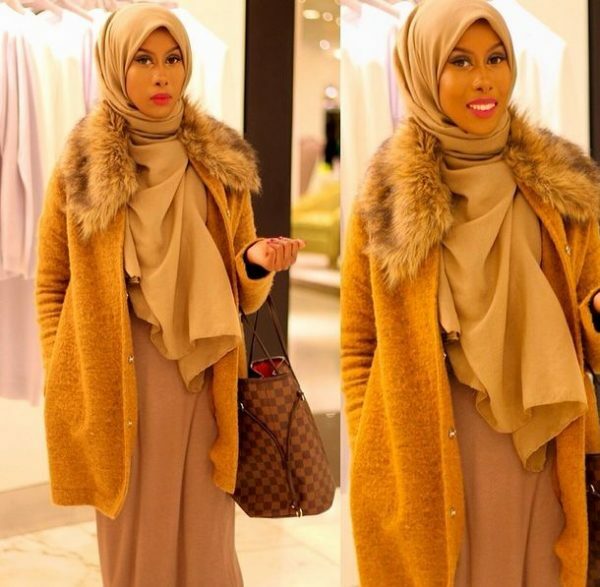 Often called the Muslim Barbie, Basma is your typical classy Muslimah. 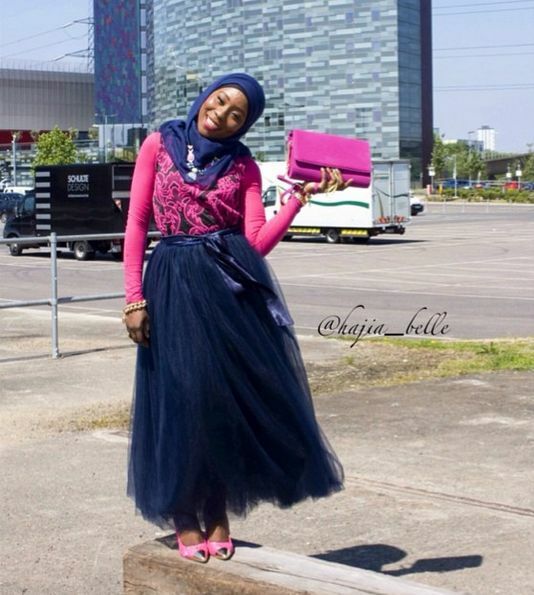 Teslima Yusuf popularly known as Hajia Belle is indeed a beauty to behold. The Nigerian beauty is one gorgeous wife and mother who isn’t afraid to remain stylish. 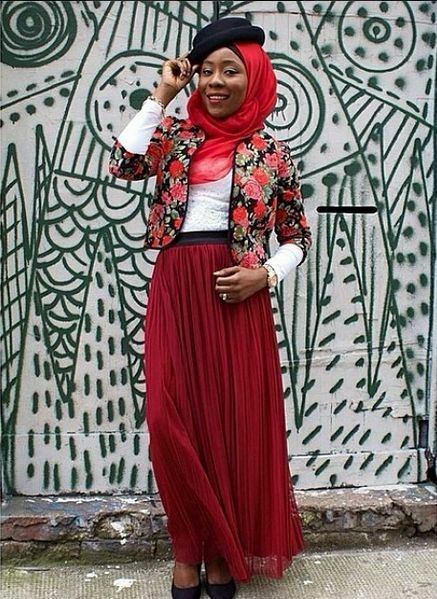 I first discovered her on Bella Naija’s My Style and was so glad to finally see a Nigerian Muslimah experiment with her outfit, because to be honest, she is one of the first Nigerian Muslim women I’ve seen that isn’t afraid to try new styles along with her Hijabs. Her daily posts range from her amazing skirt outfits to her work on beautifying other women. Nabila is an Algerian/Russian Muslimah based in England. 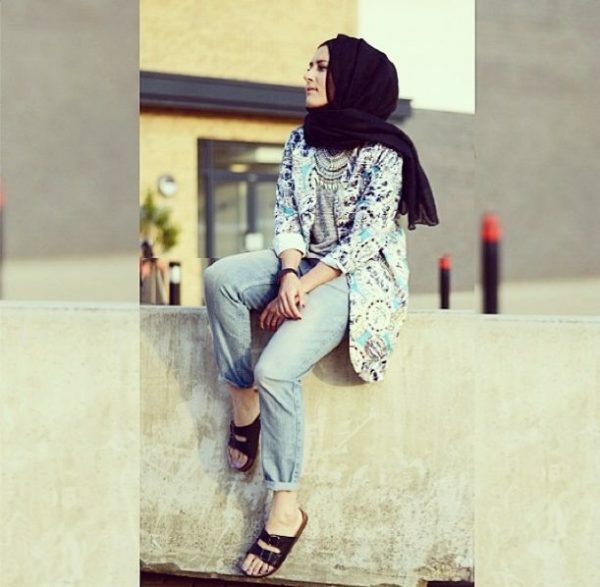 She is a fashion student, Hijabi YouTube guru, stylist, blogger, model & fashion designer. She is subtle and gentle with her video presentations yet she creates beautiful styles. It is so hard to choose a favourite style from her because she looks lovely in every outfit featured on her blog and which might just makes you jealous (but in a healthy way :)). 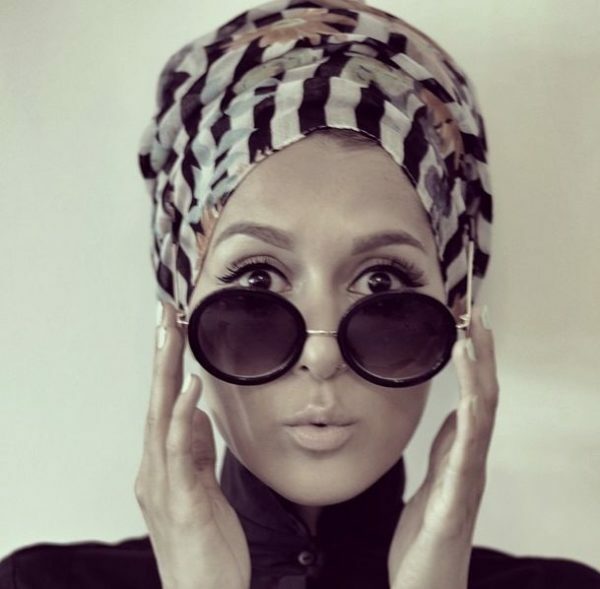 Born Dina Torkia, she is a British Muslimah that is a Hijab stylist and a vintage enthusiast. Her style is a mix of modern day fashion and a dash of vintage. She keeps it simple, covered but still stylish. Dina is very playful and loves mixing colours and patterns a lot in most of her styles. I love how she isn’t afraid to try new things – especially her take on vintage styles. Plus she goofs around a lot which is fun and a great explanation for her over 242 thousand Followers on Instagram. 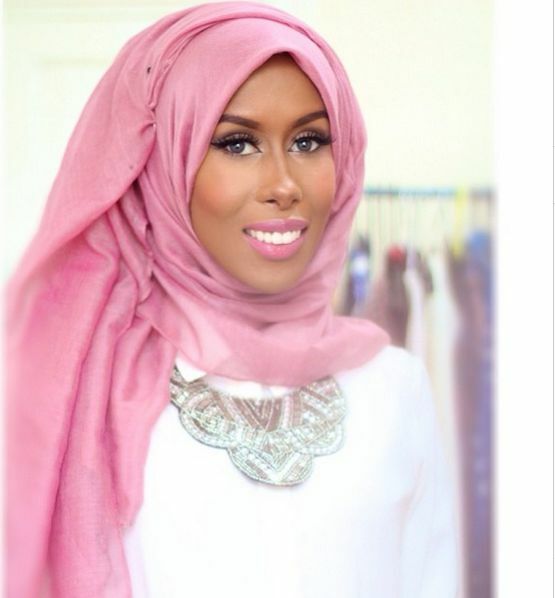 Haneefah Adam also known as MuslimaHanie is a chef, artist, designer and Hijab stylist. You literally have to catch your breath listing everything she does because she is an all-rounder that is not afraid to try anything. She has a great and skillful way of presenting her meals and her drawings will make you happy because of her quirky skills of using coins, fruits and grains. She is someone you definitely want to check out. I had to add myself too! Craftty Gimsay is a relatively new blog with a strong love for food, photography and religion. These are all interests of mine so I decided to merge it all in one blog with my Instagram page. I noticed the low number of women of colour in the Islamic blog-o-sphere so I decided to start my own blog instead of complaining. It can be randomly awesome so do check it out. 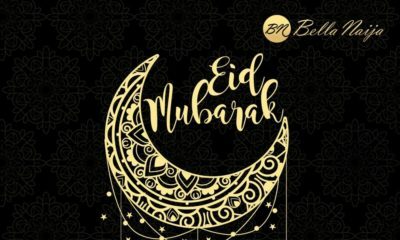 We hope you enjoy check out their pages and may your month of Ramadan be a peaceful one. really lovely and refreshen style but why do some just cover with black totally and look one kind …is it a different sect? To each his own….people are different regardless of being in the same religion, race, creed or tribe. It’s not rocket science…that is why it is good to expose oneself to diversity in order to erase stereotypes….and some of those wearing black totally will see you and think you’re one kind as well, such is life…live and let live….nice pictures but being a hijabi is really about modesty. And whilst it’s ok to be fashionable, one should not get carried away in a bid to keep up with the joneses. Pleasing God and not man is what matters most…..as long as intentions are pure, it’s all good. may Allah reward you.you just said all that i want to say. Wow! Great job Bella for shading light on these beautiful aspiring women. This goes to show you that you don’t have to be naked to be beautiful! Great job. What a breath of fresh air! Wow I’m loving these hijab styles and would love to explore wearing. Is it ok to wear them as a fashion piece if you are non-muslim? Sure you can try it on and thanks for liking it!!! Wow these women are beautiful especially Basimah K, shame her website is down though. So beautiful, as a full blow christian, this is the ONE thing i admire about Moslems. Their ladies dress so descent – they cover up well and so damn gorgeous. after shoppping and on my way home i kept laughing cos it seems real funny like what exactly was that in that two full bags of mac, Could it all be mascaras or what. No one will ever see but your eyes. I still admire them though. You don’t know their story so don’t laugh. What if they are make up artists or just enjoy wearing make up for themselves and no one else. So the 1 st thing u have to remember u only need to veil infront of non related men. So they maybe married women who want to beautify themselves for their husband or more importantly you know what women care most about is what other women think , and u don’t veil infront of other women . It is ironic I ve been asked by a white person before why I bother to wear make up since if does ” not show” on dark skin..
Tjeu can remove their Niqabs and show their beauty to their husbands, or they can wear it in all SISTERS parties or weddings. You will be shocked the beauty of women under the Niqab. oh but we make up to all women parties. and of course our husbands. the arabs wear the most makeup in the world but they cover. That’s like wondering what women (who are not lingerie models) in a lingerie shop are buying lingerie for. Some people dress for men, some for work, some for fashion, some for the whole world. And btw they could be make up artists or awon ‘buy and sell’. It’s nice to see these young ladies get featured on BN. I have been following Basma Kahie, Nabila and Dina Torkia’s blogs for a very long while and I absolutely love their blogs. There is this other amazing British Muslim girl of Indian descent I follow: Amenakin. She has a YouTube channel (Amenakin) and a blog (pearldaisyblog.com). She makes amazing hijabs, hoojabs, jalabiyas and scarves. Although, I am not a Muslim or belong to any religious sect; I have gotten some hoojabs and scarves from her. I tweak them a bit and use them as winter neck wraps or winter head covers. — This just shows you can be covered and still look smashing hot. Thanks so Much BN! I’m so Loving this! Ramadan Mubarak to Brothers and sisters in Islam. These women inspire me a lot, especially HajiaBelle follow her on IG…drop dead gorgeous. Ramadan Mubaraq to my fellow Muslim Brothers and Sisters. May Allah increase your Iman. Hahahahaha as soon as I saw the title of this post I was like Basma and Dina Tokio better be here and they were. I’m such a huge fan and they are inspirations to Muslimahs put there. Alhamdulilah. Maash”Allah. Thanks for sharing this, Bella Naija! Wow! Wow! I had to comment for @muslimahanie. Is her real name Hanifa Adams? And did she grow up in Ilorin, Kwara State? 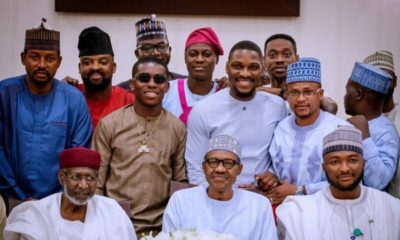 All my people are reaching the top o. Andrew, no time again, accelerate your hustle. Thanks for sharing, I’m familiar with Dina Tokio, Nabiilabee and Basma K, but didn’t know about the other lovely bloggers. Can’t wait to check out their blogs too. Wow, great hijab styles. And not only do Muslim Women are preferring these hijab styles, women of different religion and culture also follows the latest hijab trends as a fashion piece. A video on fasting & eid! please watch and share! Beautiful with a decent dressing in Islamic way . 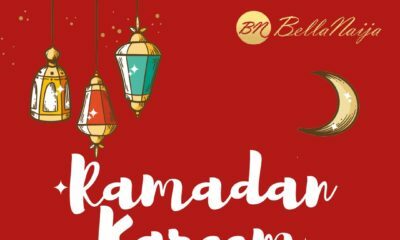 Ramadan Kareem to our Muslim BellaNaijarians!